In the second interview in our series of interviews with Snapchat users, Senior PR and Communications Executive Maria Eilersen at Topdeck Travel recently spoke to WYSE about how the organisation is using Snapchat and its strategy for attracting followers. We also find out about some of the potential challenges the tool might pose and how Topdeck Travel overcomes these. WYSE: When did Topdeck begin using Snapchat and why did you decide to build a presence there? Topdeck: We began using Snapchat (topdeck.travel) as a tool predominantly focused on building brand awareness in the UK. One of the main hurdles we face as a relatively unknown brand (with the exception of our core consumer base in Australia and New Zealand) is communicating the experience of a Topdeck trip. Snapchat appealed to us as a way to give people a glimpse into the trips using a ‘Travel Show’ approach with a presenter sharing interesting facts, images and video during the trip, which we executed in conjunction with Thinkhouse, our UK-based PR agency. Snapchat is a growing contender as a core social channel for millennials. While we already have a fantastically engaged community on Facebook and Instagram, we felt that we could really benefit from the intimate nature of Snapchat, offering exclusive content and insight into a Topdeck trip in real-time. WYSE: What is Topdeck’s target audience via Snapchat? Why does Snapchat work for this audience? Topdeck: Our target audience is 18 to 30 somethings, with our average customer hovering around 22 years old. Snapchat is a growing platform for this age group. While our initial aim was focused on the UK market, we see great potential to use Snapchat on a global scale, as a tool to help communicate the values of Topdeck and the experience our customers have on a trip. Snapchat works well for this audience because it’s immediate and a bit more raw – Gen Y is the first in a while to value experience over possessions and Snapchat taps into that; they don’t need to own the content for beyond the few fleeting seconds it’s available to enjoy. WYSE: Do you have a strategy for attracting followers on Snapchat? How does this strategy differ from other social platforms Topdeck actively uses? Topdeck: Because Snapchat is such a standalone platform – meaning you can’t really tell much about who is consuming your media such as gender and location – we use a cross-platform approach to attract followers, leveraging our engagement on Facebook, Instagram and Twitter. Our strategy combines organic activity with social advertising, particularly on Facebook and Twitter, to drive new users to our Snapchat channel, using teasers to spark an interest in checking out our channel. We want the content on Snapchat to be exclusive, so the content we share there is different from that of the other channels. It’s more spontaneous. The strategy is quite similar to the way we have (and continue) to grow our followers on other channels. That said, the likes of Facebook and Twitter have a lot much more data available to play with – like more selective targeting and the insights and reach offered by shares, likes and comments to drive further growth, which is not available through Snapchat. WYSE: How many social media platforms does Topdeck actively utilise? Which are most popular with travellers under age 30? Have you broken this down further to look at differences among age categories within the 18-30 range? Topdeck: We have a presence on all the major social sites, but the main focus of our social activity centres around Instagram, Facebook, Twitter and Snapchat. Like many brands, we’ve found that Google+ really hasn’t seen the growth we imagined. While we realise the potential of using Pinterest, it isn’t a core channel for us at present. Our most engaged audiences are on Instagram and Facebook where we post a mixture of images, travel quotes, comments and links to travel inspiration, all of which are well suited to these channels. As per our average customer, our most engaged audience across social channels are those in their early 20s with a skew to female followers, but with travel we find there is less difference in what people find interesting and useful than you would expect between age groups. It will be interesting to see if and when Snapchat releases more analytics options whether this holds up or not. WYSE: What are the drawbacks or challenging aspects of Snapchat that Topdeck has seen so far? Topdeck: We’d love to do more ‘on the road’ type pieces, but we’re limited by data coverage and the need for content to be shared instantly. This creates problems for our teams when they see great content, but don’t have a connection to upload immediately. Not having analytics or any significant data comparisons to draw conclusions on what works best is also a challenge which we’re seeking to address by taking reads on the number of eyeballs and saves on particular pieces of content and looking at spikes (e.g. how many views after one hour). 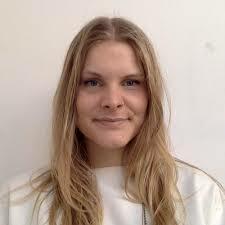 Maria Eilersen is Senior PR and Communications Executive at Topdeck Travel in London. With a background in online journalism, she has worked as a digital marketing strategist and writer in London and New York. She is a self-described lexophile who soothes her American nostalgia with spoonfuls of peanut butter. Topdeck Travel designs epic trips across the globe for 18 to 30-somethings. Started by friends in 1973 who shared a passion for adventure, Topdeck has a long history of delivering authentic and fun group travel to the hottest new travel destinations. Topdeck will launch its third #TopdeckSnaps campaign on 26 June 2015, so be sure to follow this new Topdeck.Travel adventure on Snapchat.